Brown Brommel Consortium and Partners Signs Memorandum of Understanding (MOU) With NNPC For A Brownfield Refinery. 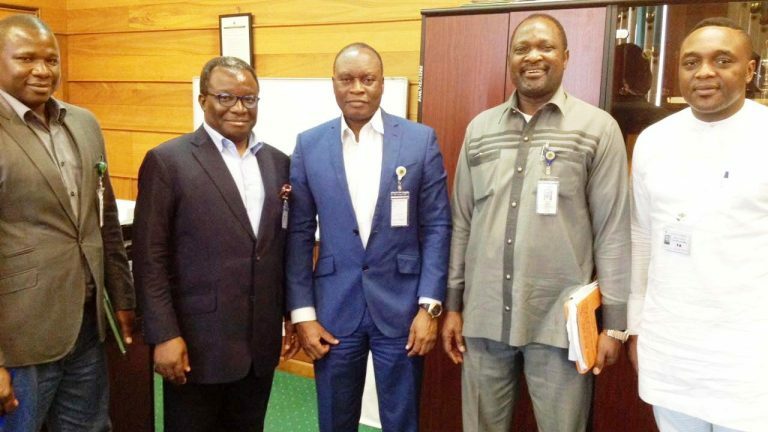 After a successful bidding process that commenced on the 31st of March, 2016, the Management of NNPC and Brown Brommel Consortium and partners have signed a Memorandum of Understating (MOU) dated 23rd June, 2016 for the establishment of 117,000 BPD Brownfield Refinery adjacent the existing Warri Refinery and Petrochemical Company (WRPC). This Joint Venture (JV) project is in line with the Federal Government and NNPC objective to increase its refining capacity, through strategic alliance with World Class refining companies that possess the technical skills and financial resources. The parties, in keeping with this MOU, have created a Joint Venture for the relocation and integration of the Refinery Assets at Warri Refinery and Petrochemical Company (WRPC) aimed at interconnecting/integrating the two refineries. This project, when completed will ensure increased product stock for domestic use and reduction of importation of Petroleum products, thereby saving Nigeria’s foreign exchange. To ensure the successful construction, integration and commissioning of the refinery, Brown Brommel and partners have put together a Consortium of some of the World’s best Engineering, Technical, Systems and Energy Solutions Companies as project partners. All the project partners are working tirelessly to ensure that the project is delivered according to the timeline.